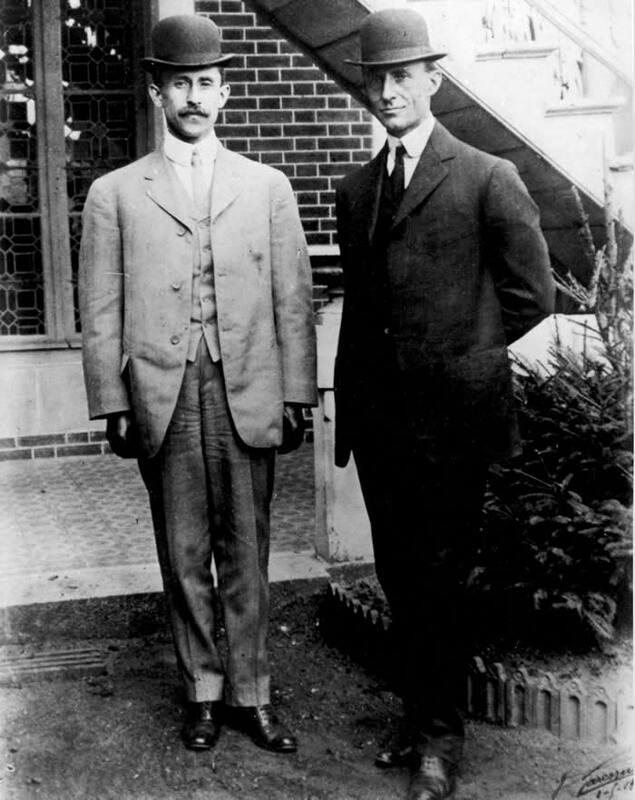 1890 --The wright brothers' father gives them a flying toy made by the Frenchman, Penaud. It is their first exposure to a winged craft and it sparks their imaginations. 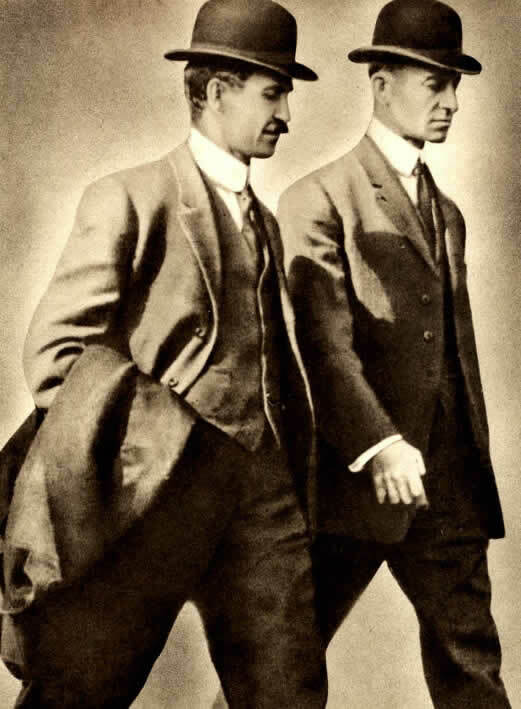 August 1896 --The brothers read about Lilienthal's death and discuss his work and research on flight. This is when the first seeds of how to fly were planted in their minds. June 1899 --Wilbur writes a letter to the Smithsonian Institution, asking for research information about flight. This forms the basis of their design. May 1900 --Wilbur begins corresponding with Octave Chanute who shared research information he had been gathering about flight. This gave the brothers someone with whom they could discuss aeronautical ideas. July 1899 --Wilbur's observations of how birds use their wings during turbulence give him the idea of "wing warping." He successfully tries out the theory on a biplane kite. 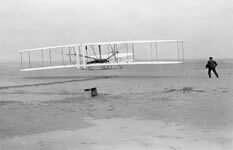 October 1900 --The brothers fly their first glider at Kitty Hawk where they are baffled by a problem with the center of air pressure and how unstable it is. This causes them to redesign the wings' horizontal rudders to a proper size and shape to counterbalance the changing center of air pressure on the wings. August 1901 --Although they had broken the distance for glider flight carrying humans, they are still confounded by the problem of control during turning (drag caused the aircraft to slip sideways and lose control). This inspires them to create a wind tunnel with which to test wing theories. November 1901 --The brothers create their own wind tunnel to test the effectiveness of different types of wing camber on lift and drag. 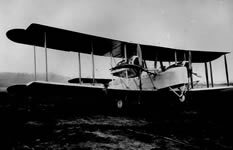 September 1902 --Orville unexpectedly discovers the stalling angle of wings. 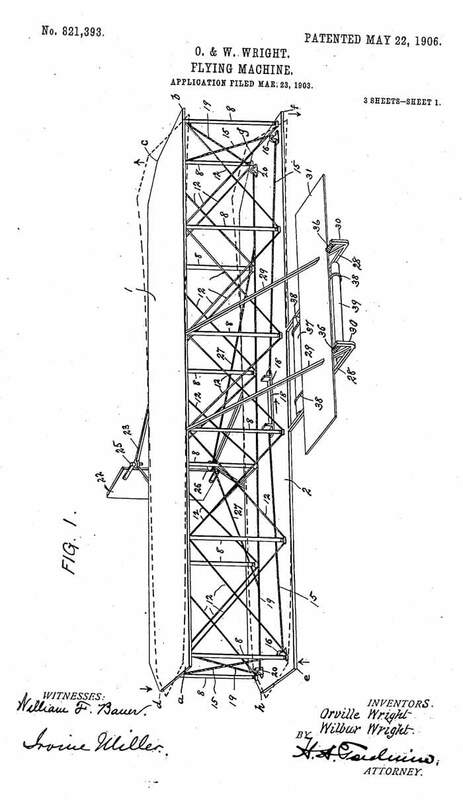 October 1902 --Trouble with "tailspin" prompts the brothers to redesign the vertical rudder that features one large movable flap. February 1903 --An engine especially designed for their aircraft is made by the brothers and their mechanic, Charlie Taylor. Previously there were no engines small, light or powerful enough to be used for aircraft. The brothers design one just for this purpose. Propellers are also designed. And just like the engine, the brothers do the original research and experiments to design the best type of propellers. November 1903 --While testing the engine, the drive shafts are damaged. Even after repairing the drive shafts, the brothers realize that the shafts have to be made of steel, not wood. This makes the shafts stronger. December 1903 --They make four powered flights. 1905 --Wilbur stays airborne for 38 minutes, flying 24 miles. 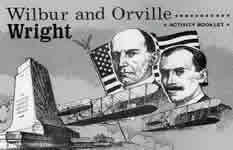 1908 --Orville flies for over an hour with a passenger. They also sign a contract with the governments of the US and France to manufacture aircraft.